(CNN) There is a big difference between dead and dying. Outside Magazine published a somewhat tongue-in-cheek obituary for the Great Barrier Reef earlier this week, citing its lifespan from 25 million BC-2016. The article detailed the life of the reef, its active membership in the ecological community, its worldwide fame and the coral bleaching that has led to its deteriorating health. “The Great Barrier Reef of Australia passed away in 2016 after a long illness. It was 25 million years old,” read the article. Many people on social media are indeed taking it at face value. Twitter users have been grieving the loss of the reef and urging followers to pay serious attention to the consequences. Many are spreading false information entirely. Rowan Jacobsen, the writer of the obituary, is a food and environmental writer, not a scientist. But the article has led some outlets to claim that scientists have declared the reef officially dead, further spreading the exaggeration. The Great Barrier Reef is the world’s largest coral reef ecosystem and a UNESCO World Heritage site. 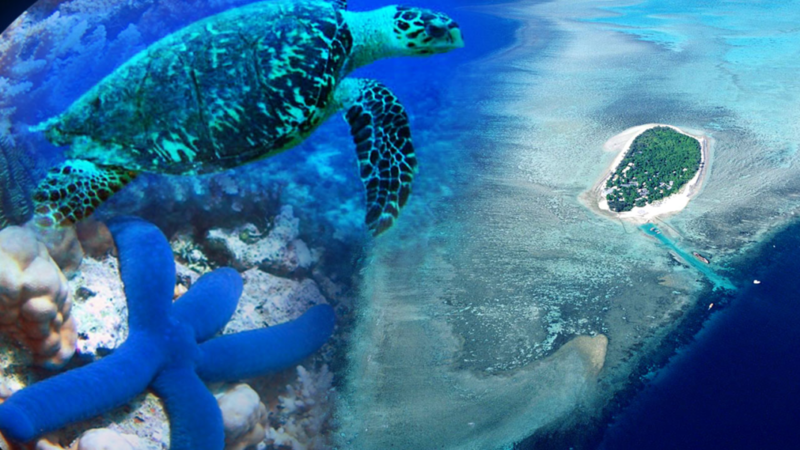 It covers more than 300,000 square kilometers and consists of more than 3,000 reefs, 600 islands, and 300 coral cays. There’s no denying that the Great Barrier Reef is in serious trouble. According to a report by the ARC Centre of Excellence for Coral Reef Studies, 93% of the reef is affected by bleaching, putting the reef in danger of extinction. Bleaching occurs when coral are put under extreme stress by changes in conditions like temperature, light, or nutrients. In these conditions, they expel symbiotic algae from their tissues, causing them to turn white. Scientists are increasingly worried that over-exaggerating the state of the reef will promote the idea that it is past the point of recovery. Professor John Pandolfi from the ARC Centre at the University of Queensland has expressed hope. “It is critically important now to bolster the resilience of the reef, and to maximize its natural capacity to recover.” But the effects are serious and possibly permanent. “The reef is no longer as resilient as it once was, and it’s struggling to cope with three bleaching events in just 18 years,” he said. The obituary lays blame on the Australian government, noting that the government pressured the United Nations to remove the reef from a climate change report because it was concerned about its impact on tourism. But on September 28, the Australian and Queensland governments released the first Reef 2050 Plan annual report, showing the $2 billion investment toward improving the reef’s health for future generations is paying off. The plan has accomplished 29 of its 151 intended actions, though it notes that the recovery process needs to be accelerated if they want to continue to be successful. Coral bleaching, fishing, mining, and burning fossil fuels have all contributed to the destruction of the reef over several decades. More than 2 million people visit it each year, and governments, scientists, and charities are working so future generations can continue to appreciate its beauty. It’s not dead yet, folks.